← How did Elvis get turned into a racist? The surprise arrival at the feast was big and regal and as wide as your grandmother’s hot rod Lincoln, and when she cruised onto the scene the other diners fled — as was only natural, for she was a great white shark, said Ocean Ramsey, who studies sharks, advocates for their conservation and leads educational, cage-free shark diving tours on Oahu’s North Shore. 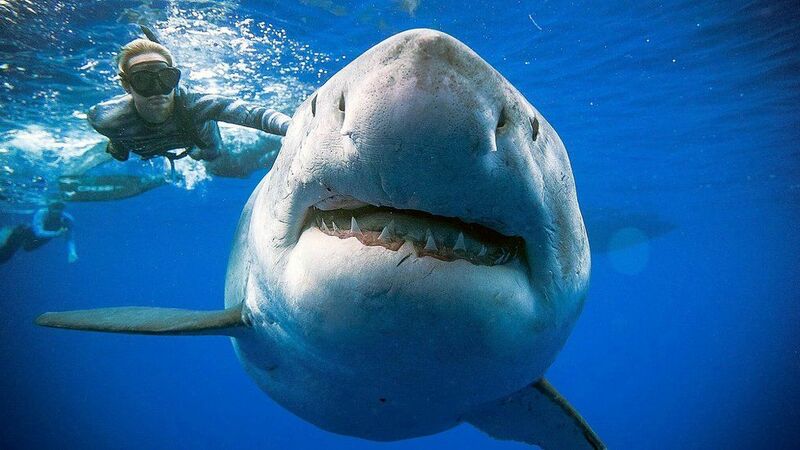 On Jan. 15, Ramsey and her team had taken their dive boat to monitor tiger sharks feeding off a dead and decomposing sperm whale that National Oceanic and Atmospheric Administration had towed 15 miles offshore from Sand Island, where it had lain against the shoreline, attracting sharks, when, to her astonishment, the female great white appeared.